As a fiction writer, you know your characters need to leap off the page. They need to be sympathetic but flawed; believable but not identifiable as your Great Aunt Gladys. Writing unforgettable characters is a balancing act, a deliberate layering of traits that you can learn to master. At the North Carolina Writers’ Network 2017 Fall Conference, November 3-5 at the Holiday Inn Resort in Wrightsville Beach, fiction writers can tackle the expansive world of the novel, learn how to breathe life into their characters, and make sure their protagonists get into trouble without appearing Too Stupid to Live. If you’ve already registered, thank you! If not, consider signing up to experience the largest and most inclusive writing conference in the state. How do you develop memorable characters, from your hero to your bad guys (who are people too!)? How do you make them leap off the page and land in a life or death struggle? How do you avoid TSTL (Too Stupid to Live) Syndrome? Attendees will talk about that and what agents and publishers who specialize in mysteries are looking for. Currently living on a barrier island on the coast of North Carolina, Thomas Kies has a long career working for newspapers and magazines, primarily in New England and New York. When he’s not writing mysteries, Thomas Kies is the President of the Carteret County Chamber of Commerce. 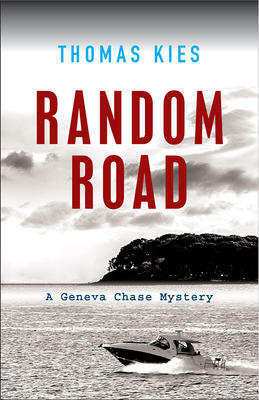 He’s currently working on the second book in the Geneva Chase series—Darkness Lane: http://thomaskiesauthor.com. This workshop will focus specifically on character creation, analysis, and development. Registrants will discuss how we, as writers, can best create engaging, layered, memorable characters while still developing the story around them. Participants are encouraged to bring information about characters they might be working on, and be ready to talk about whatever challenges they, the writers, are facing. Jason Mott lives in southeastern North Carolina. He has a BFA in Fiction and an MFA in Poetry, both from the University of North Carolina at Wilmington. His poetry and fiction has appeared in various literary journals. He is the bestselling author of two novels, The Returnedand The Wonder of All Things, and two poetry collections. Catherine Woodard is the author of Opening the Mouth of the Dead, a story in poems by lone goose press (September 7, 2017 in paperback and a limited-edition book art). She swerved to poetry in 2001 after an award-winning career in journalism. Woodard helped return Poetry in Motion® to the NYC subways and is vice president of the Poetry Society of America. Her poems have appeared in literary journals, anthologies and CNN online. She co-published Still Against War/Poems for Marie Ponsot and has been featured in The Best American Poetryblog. She is a former president of Artists Space. A former newspaper and new media journalist, Woodard volunteers with the News Literacy Project. Michele Young-Stone is the author of three novels: the upcoming Lost in the Beehive(Simon & Schuster, 2018), Above Us Only Sky (2015), and The Handbook for Lightning Strike Survivors (2010). She recently completed a fourth novel, George Glass Loves Lily Snow, and is at work on a fifth. After teaching high school English for seven years, Michele earned her MFA in fiction writing from Virginia Commonwealth University. She lives in the Outer Banks of North Carolina with her husband and son where she leads a novel-writing workshop for the Dare County Arts Council. Registration for the NCWN 2017 Fall Conference is now open. For complete conference information, or to register, go to http://ncwriters.org or call 336-293-8844 or 919-308-3228.